I had some Swiss Chard left from my Power Food veggie of the week and I was puzzled what to do with it. I also had leftover kasha . What does a foodie do? Combine these, throw in some other ingredients and make MUFFINS. I didn't know what was going to come from this and was happy when I had these delightful looking muffins that tasted even better than they looked. I took notes, as I went along and I am hoping, I have this correct. It is something, I want to make again. 1 cup crumbs from chips (potato or taco or tortilla) You can use bread crumbs. Heat olive oil in medium skillet. Fry scallions and Swiss chard stems for 5 minutes. 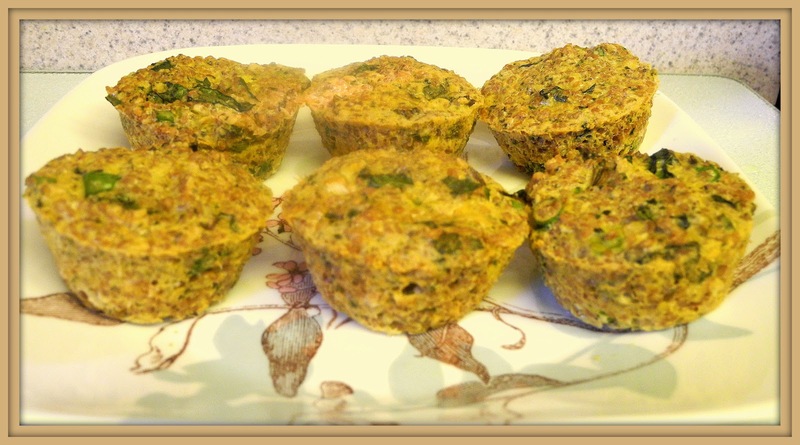 While these are cooking, in a mixing bowl, combine kasha, Tamari, crumbs, spinach dip and eggs. Mix well. Add cooked scallions and Swiss chard to mixture and combine. Pour the batter into the muffin tins. Bake at 350 degrees for about 25 minutes. I did make sure a knife came out dry but I had to guess at the time. They were slightly browned on top. They came right out of the tins. 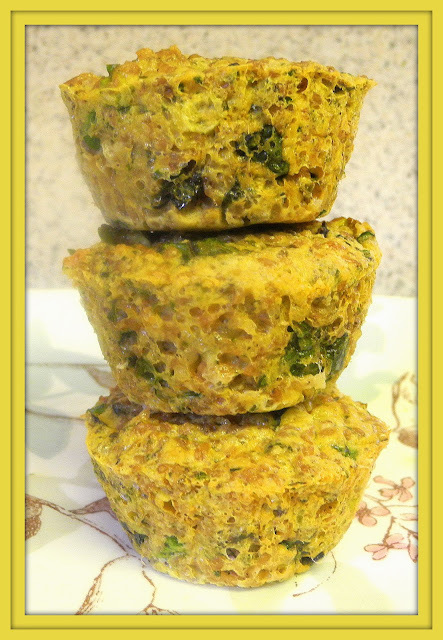 I served these as a side dish and they make a delicious snack.